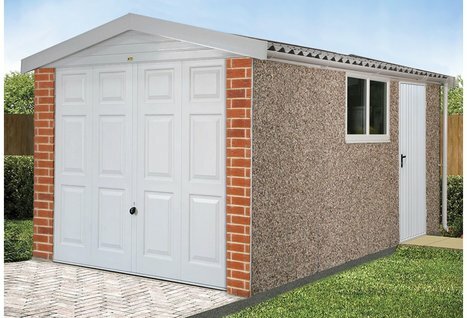 The Deluxe Lidget Compton range we sell represents the ultimate in convenience, ease of use and maintenance. Featuring white PVCu fascia's, vergeboards, guttering and window that make sanding and painting a thing of the past. Why have timber when you can have PVCu? A simple wipe down is all that is required to keep your Deluxe garage looking in tip top condition. 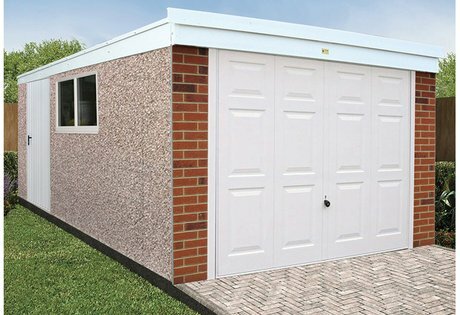 Even the stylish Georgian up and over door and the side personnel door have a plastisol coating for ease of maintenance. The Georgian door also features security enhanced 4 point locking to help protect your valuables. 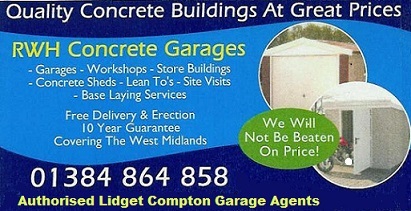 Tel:01384 864858 - To request a site visit,concrete base quote or brochure.